I do not hide my love for scouting. Having been a scout in the military, the task of enabling fight by finding, locating, and identifying the enemy is a full on play style for me. Optimally, dedicated fleet scouts should be viewed on the same level as logistics or EWAR. Although they could also cross over to combat or EWAR themselves in a pinch. The goal of the scout is to lift the fog of war. As a scout you stand as the eyes and ears of the forces. Whereas other roles are either combat forces, or combat multipliers, the scout stands as the combat enabler. Unfortunately, scouting as a profession has two big oppositions in the design space. -Risk averse pilots feel that combat probing is “too powerful” because it can allow the initiation of combat without much reaction time (there is counter play here, but these people would prefer to be as safe as they can, see null WH changes). 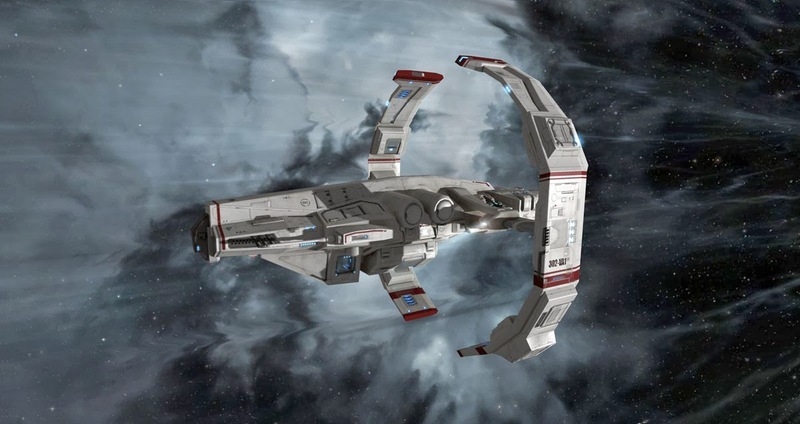 -FCs feel that control over the fleet movement is far too great to give up, and so decide to do combat probing on an alt, rather than utilize dedicated scouts. At the moment we are looking at a change to fleet warp that will alter the balance of power when it comes to combat probing, and FCing in general. The change as it is currently written will alter the feature so that wing commanders and squad commanders will only be able to fleet-warp to public objects and other fleet members. The practical result of this is FCs can no longer warp a group to a probe result, and can only warp to bookmarks over five minutes old. The purpose of this change is to increase autonomy within fleet situations as well as give a subtle nerf to bomber fleets. The idea goes that the less direct control of the fleet’s actions the FC has, and the more actual interaction is needed by individual pilots, the better. These goals are good ones. Especially with the rise of the sentry doctrines more and more in the last few years, fleet combat has gotten a bit of a reputation of being a situation where one person is running the fleet, and everyone else is off making bagels or whatever they do. However, this instantly shows one of the cracks in this plan. This is only the interaction of one type of fleet. Beyond big block drone fleets there are wormhole roams, lowsec roams, incursion fleets, exploration fleets, mining fleets, all of whom use the tools they have for different purposes. EVE Online is a space opera set in the distant future with fantastic technologies. I understand that the lore shouldn’t impact mechanics, but before you tread down that path too far, realize that excellent game design either uses mechanics as metaphor or simulation. 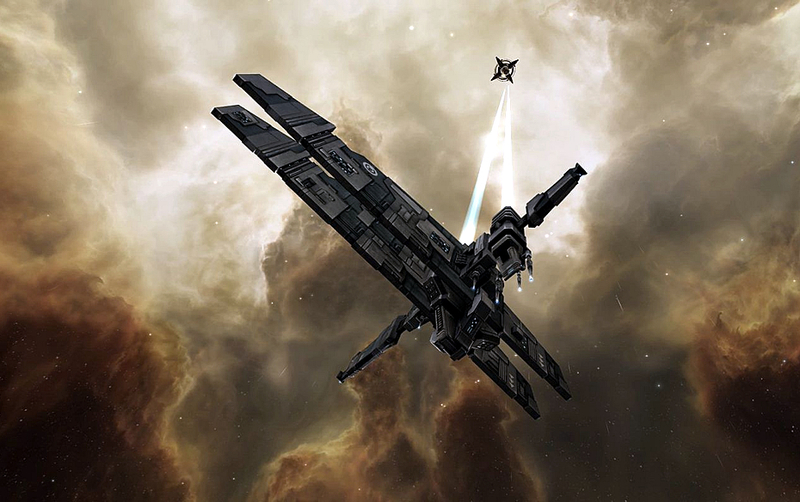 In EVE, the balance leans to simulation. Not only does this change seem to limit our ships functionality in a very gamey kind of way, it actually takes a step back from really allowing scouts to be what they need to be. As discussed above, scouting is an important task. We use scouts to watch gates, check routes, and find targets. However, we need to address the problem that right now scouts roles do not translate well from non-combat to combat roles. Often times a pilot sitting in a scout ship is seen as “less valuable” and this stems from the fact that most scouts use ships that are at best tackle. However, in in the real world, for a scout, being in combat is a failure. Scouts do not want to fight. A scout that is shooting, or being shot at, is a scout that has failed its job. In the military, we had an expression “210 out, 210 in”. This was a reference to the seven magazines loaded with thirty rounds each. The idea being that as a scout, your weapon should go unfired. You are not there to give up your position, you’re there to enable fights and be the eyes and ears for your command. As a matter of fact, I have witnessed countless fights that have gone hysterically badly because scouts did not continue to do their jobs after combat started. In a combat scenario, a scout should be the direct counter to other scouts, and to any boosts the enemy has. Scouts can continue to perform recon, however, to demand increased attention during combat, scouts should be probing for other scouts, as well as combat boosters in an attempt to shut them down. This actually helps with two problems. One is that it gives scouts a clear value, that demands a full time consideration (not just an alt), combining this with other forms of recon (watching gates, hunting for the next fight, watching for D-scan proof combat recons, etc.) helps flesh out the scout’s “role” within a fleet. The other is that ships such as the Astero, cov-ops, and even the Tech 3 destroyers all have use as scouts in fleets without having to worry about what kind of engagements they will survive through. A prober’s job shouldn’t be to catch and kill the enemy, only to find them. -Enable scouting to continue to be a profession and increase the need for dedicated scouts in fleets of all sizes. -Enable counter-play, allowing those who are vigilant to escape those who hunt them. -Increase autonomy throughout fleet warfare. -Preserve the sci-fi feel of the mechanics. Fleet warp DOES get limited to things people could normally warp to (no signatures, or bookmarks). However, in addition to this change, you also add the functionality to share locations in space to the fleet. This actually hits a few huge pain points all at once, and ends up being a very elegant solution. For years there has been complications with alliance bookmarks, and other such complications with bookmarks, the time has come to just build a better system. So there you have it, take away the power to control other ships, give the prey a bit more time to react, and give scouts a powerful new tool in their fight against the enemy. Scouting should be a profession, not an alt. Edit: Since posting this, It has been pointed out to me that this change includes something I hadn’t considered. If it works out well, it could have awesome implications for scouting and other playstyles, including WH bookmarks in general. I would like to clarify this change, and what it could possibly mean for us. This is an interesting implication. As it stands right now, the only way for someone to get a bookmark, is to either be handed the physical bookmark, usually though a jet can (this is very annoying btw), warping to someone in fleet at the location, or being warped there by a fleet warp. This change will allow you to broadcast the location so that people can choose to warp there if they wish through the fleet broadcast window. What is most important about this change is that it can be done by someone other than the one in actual command position! Anyone can broadcast a warp to location, so several scouts could potentially be able to broadcast, leaving the FC in charge of his own fleet. This change would actually be a monumental step forward towards the vision I laid out above. The delay between when the bookmark is created, and when you can broadcast it is key. Too short and you miss the design goal of weakening the effectiveness of bombers etc. too long and you render the solution useless for in-combat scouts. Another way to look at it is this; you want combat probes to be able to initiate combat when the opponent doesn’t want to, but should give them a chance to escape if they are vigilant. I recommend the time that it takes for an average battleship to align and enter warp. That, plus the time it takes for the prober to actually get a lock, should give vigilant pilots ample time to evade. With those parameters I think this could be a very awesome change. Finally, this change could actually become my dream very quickly. It would require you to be able to bookmark a location that has been broadcasted.